When Shreya and I signed up for the CAM ride, we knew the cycling part. When the weekend was over we knew that “more” meant incessant rains, insane descents, falls, water falls, hills, rubber, awesome roads, aweful roads and lots more. 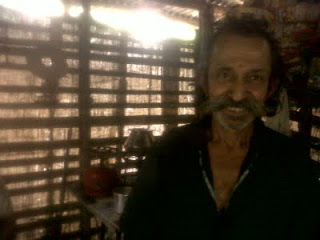 Cycling and more (CAM) organizes rides in the Malnad area and manage transport of bikes, food, accommodation & support. All you need to do is saddle up and ride. 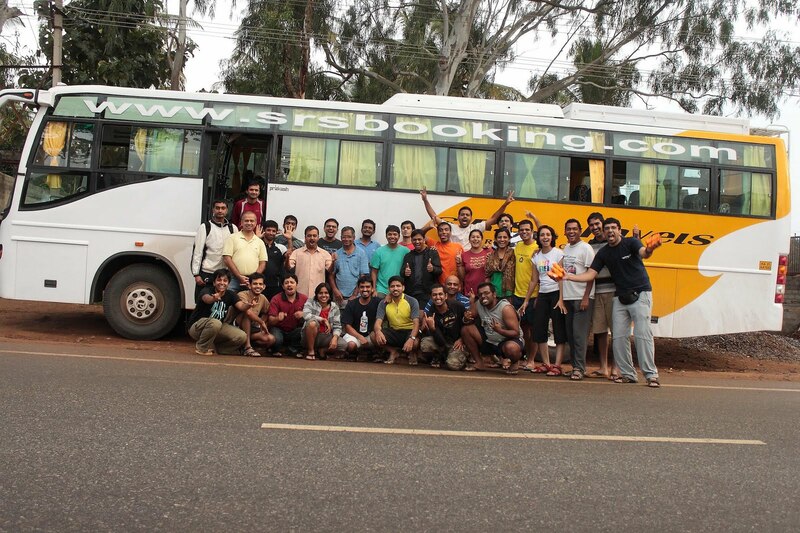 It was a full bus load of cycling enthusiasts boarding the bus from Bangalore to Bhagamandala in Madikeri on Friday night. The plan was to start the ride on 6th Saturday morning and ride about 100kms on day 1. Then to rest at Kasargod for the night and ride another 50kms on day 2 to Jalsoor, Sulya and then board the bus back to Bangalore on Sunday. I was suitably warned by Vikrath & SriHarsha from CAM that the first section of the road, well, is not road really. I decided to push ahead with my road bike for this trip. I did read the instructions and changed my brake pads, thankfully. There was one constant throughout the ride – that was rain, heavy drizzle to downpour. So while you read the ride report, unless otherwise mentioned, it was raining! The bikes were un-loaded from the Cantor at the KSTDC guest house in Bhagamandala, while we had breakfast and geared up for the ride. Yes, it was raining steadily. The initial couple of kms was an uphill – about 100mts in 5kms. The downhills and patchy roads began as we entered the Talakaveri wild life sanctuary. 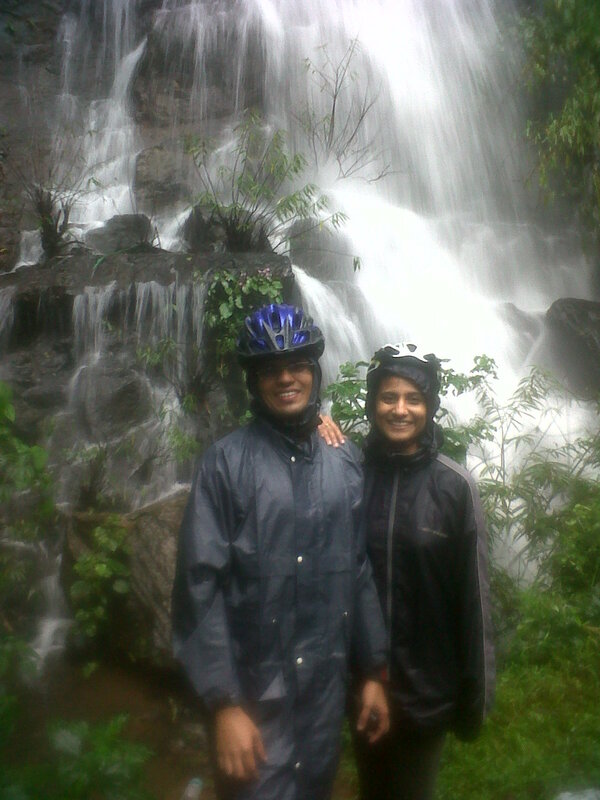 The route was brilliant, water falls, dense forests and rains of course. But I couldn’t take my eyes off the road or relax those fingers off the brakes, one moment. Shreya was doing well till she pulled the brakes and noticed they were not responding! So skkidd she went, into a pile of bamboo shoots and thorns. Luckily she walked away with no serious bruises or broken bones. Vikrant, in the support car, helped fix her a new pair of brake pads and she was on her way. It was laudable that she continued to ride despite the fall till the lunch break. For me, it was how long I could push without a puncture. And sure enough, after 28kms, just as I was taking off after a photo break, I noticed the flat. I had a spare tube, found a reasonably dry spot under a massive tree and began the routine of fixing the puncture. It took me about 15-20mins to fix the tube, by which time, my veins had 3 punctures! Those wormy leaches had hunted down my warm blood and I was bleeding profusely from my feet. Since I wore those ‘Hawai chappals’ for the ride, I was easily able to spot the bright pink, as the oozing blood mixed with the rain drops. The punctures fixed, the leaches taken care of, I resumed the ride from behind the pack, with the sweep cantor breathing down my neck. Lunch was near the Udayapuram turn, after we had done about 55kms. Shreya decided to ride in the Cantor for the rest of the day. After a short lunch break, I decided to up the pace and attack the hills. The first one was a 200m climb in 4kms and then the hills began rolling and the roads much better. I averaged 20kmph for the 28k distance till Bekal fort via Kanhangad. Shreya soon reached there and we spent some quality time in walking around the fort. In case you forgot, it was still raining! 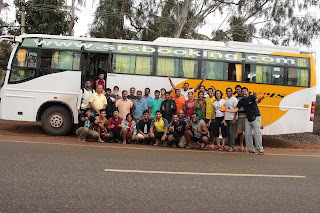 The ride from Bekal fort to Kasargod (our overnight halt) was on patchy, scaled roads and right along the coastline. I reached Speedway Inn with 97kms done for the day. After parking the bikes safely, it took us nearly an hour before we could park ourselves in the rooms. Dinner was at a modest Udupi hotel and the room served as a drier to salvage whatever we could from the wet monsoon day ride. My lower back was sore or what! We started from Speedway Inn at 7:45AM, the plan was to ride East towards Jalsoor, Sulya. I started out ahead of most of the MTBs and stayed up in front right through on fantastic roads right up to the breakfast point after Cherkala. After the Uppit-Kesaribath breakfast I managed to keep good pace, again on fantastic roads. Today I had done away with my raincoat and was enjoying the light drizzle. Somewhere after the Adhoor temple, on that empty speedy road, amidst the din of the crickets, I was suddenly aware of forceful companion riding alongside. When the canopy cleared, I almost fell off the bike when I first saw her. The Payaswini river was flowing alongside in its full glory, the recent monsoons having filled her wide course to the seams. With about 4kms to Jalsoor, I rode past the suspension bridge across the river. I reached Jalsoor right behind the Cantor to the applause of the ‘cheerleaders’ riding in the Cantor. I had averaged 22kmph for this superb stretch of 32kms, which was the best of the entire tour. I had a quick bath by an open well and got into dry clothes. While we waited for the others to trickle in and the bikes to be loaded into the Cantor, I got a big lesson in Customer Service from the tea-stall owner Venkatarama Bhat. In the middle of this little rubber growing town, this barista had more wisdom than many managers in large corporations back in the city. Well, that is a story for another day perhaps. We were treated to lunch and Gudbud at Sulya. The return trip was sprinkled with movies, bakras, mafia and wild jokes. It was past the mid-night hour when we crashed for the night at home – High & Dry!!! 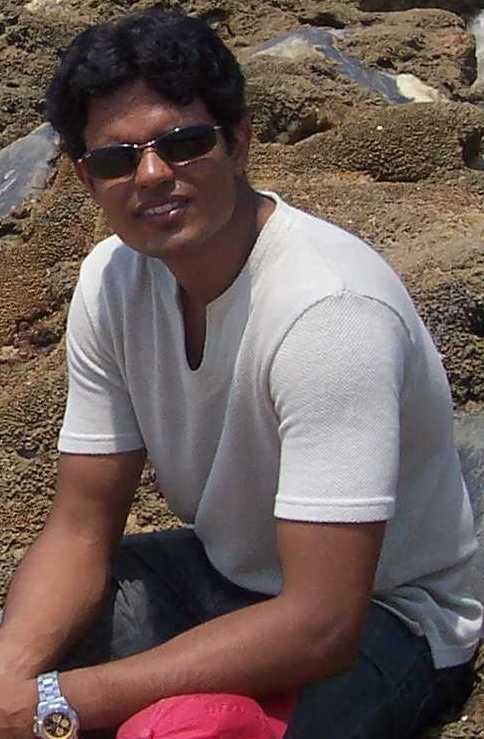 Nicely written.. :-) relived the trip via this writeup. @Srinivasan, I just re-read that myself and can't agree with you more. It was indeed a great trip.